Topeka ? 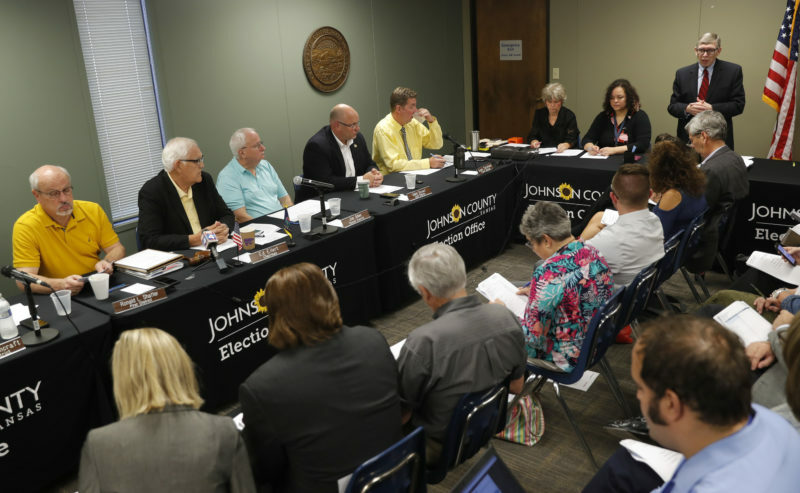 So-called conservative Republicans flexed their muscle during the 2013 Legislature, and it will be up to Kansas voters to decide whether that’s a good thing. With Gov. 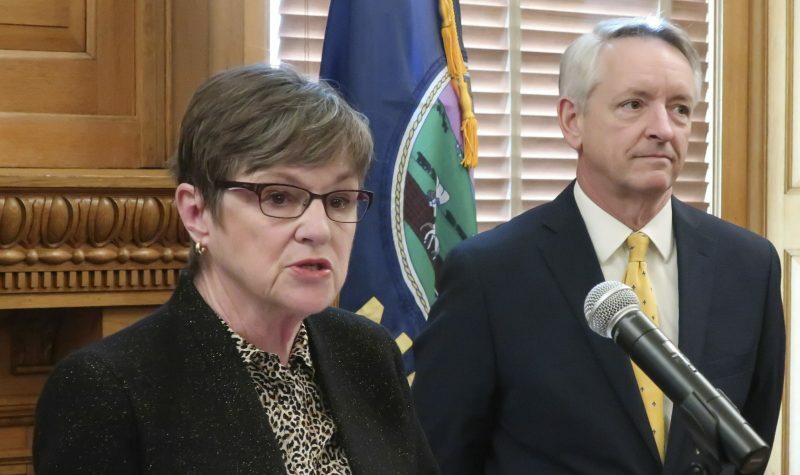 Sam Brownback, House Speaker Ray Merrick, R-Stilwell, and Senate President Susan Wagle, R-Wichita, at the helm, the emphasis was on cutting income tax rates, while increasing the sales tax and general income taxes by ratcheting down tax deductions. 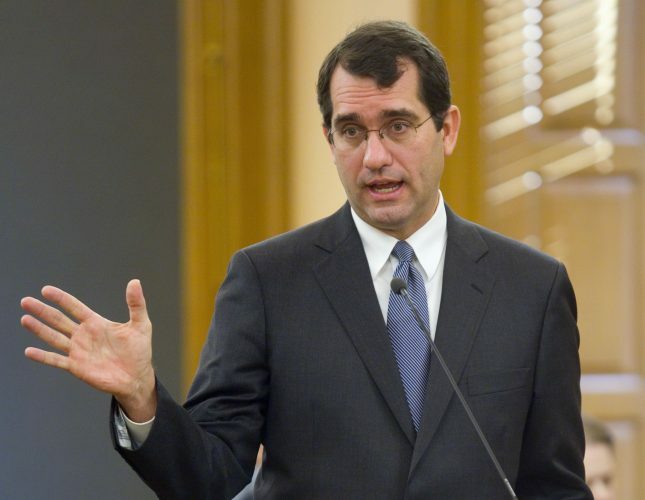 Before it was over, Lawrence was declared a dark spiritual area by a Christian religious adviser often seen at Brownback’s side, higher education’s budget was cut, and supply-side economics ruled the day. There was also time to approve a number of hot-button conservative issues. Now in Kansas, federal law officers can be charged with crimes for enforcing gun laws, welfare recipients can be drug-tested, and Kansas University got an adult stem-cell research center it didn’t ask for. There will be further restrictions on abortions and fewer restrictions on concealed carry of guns and knives. And Brownback gained more power in appointing appellate judges and running the Kansas Turnpike. 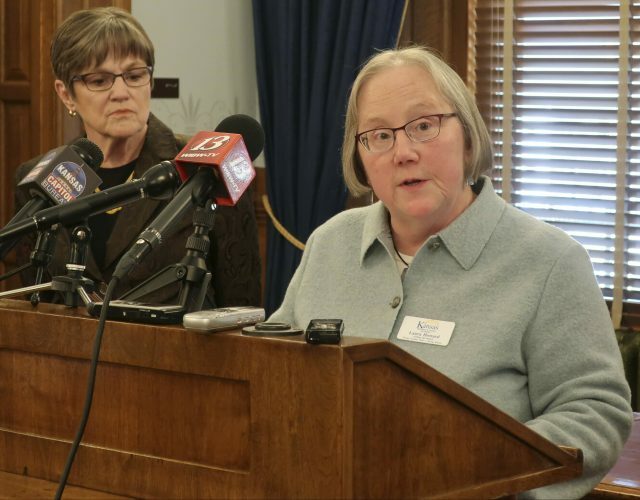 Obamacare is still a dirty word in the Statehouse, and to make sure it stays that way, the Legislature passed a provision aimed at preventing the expansion of Medicaid under the Affordable Care Act. 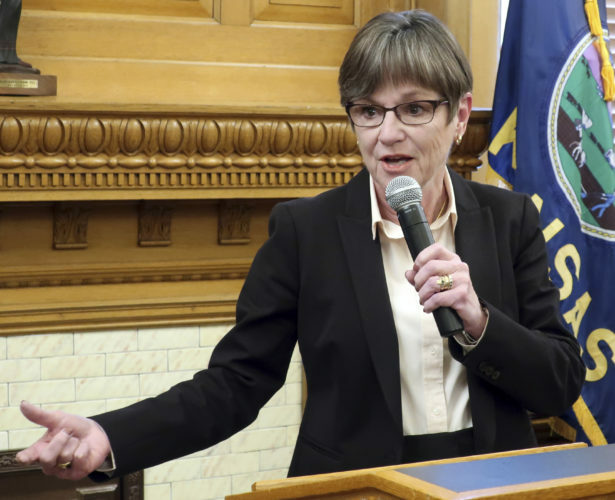 Brownback and the Republican-dominated Legislature essentially ignored a court ruling that said the Legislature needed to increase public school funding by $500 million. The case has been appealed to the Kansas Supreme Court. But Republicans took time to whack the teachers union and tried mightily to insert themselves in deciding education standards, although that measure failed by a just a few votes. And there will be no pay raises again for state employees. Here is a brief rundown of some what happened during the session. The Brownback experiment continues. Much of the session was spent trying to re-boot after the tax cut legislation signed into law last year by Brownback. Those cuts projected revenue shortfalls for years to come, so Brownback and Republicans worked on ways to produce more tax revenue, while also building in further cuts in income tax rates. The final creation was a $777 million tax increase over five years. Instead of allowing the 6.3 percent state sales tax to fall on July 1 to 5.7 percent, as required by current law, the new bill sets the rate at 6.15 percent. The measure also ratchets down itemized and standard deductions by half, reduces income tax rates and caps state spending growth. Brownback and his allies say this plan will boost the economy and make Kansas a model for the nation. “I began the 2013 legislative session reflecting about the long tradition our state has of being bold in doing what was right, even if much of the nation took another way. The work accomplished these last few months affirms our state is leading the way,” Brownback said. “I will sign a pro-growth tax reform bill that continues our efforts to reduce the tax burden on all Kansans,” he said. Democrats say the tax bill benefits the wealthy while putting the state in a constant budget crisis. House Minority Leader Paul Davis, D-Lawrence, said Kansans got no help from the overtime legislative session that ended early Sunday morning. “After 99 days of gridlock, it is safe to say that the taxpayers of Kansas did not get their money’s worth from this legislative session. They wanted restored funding for Kansas public education and a tax code that is fair and fiscally responsible. Gov. Brownback and the Republican Legislature failed on both counts,” Davis said. As the revenue noose tightened, Brownback toured the state, speaking against cuts to higher education. But legislative leaders had the budget knives out early and often for higher ed. The appropriations bill approved by the Legislature includes a 3 percent across-the-board cut to universities over two years, and a controversial cap on salary expenses that universities say will hurt even more. For added measure, legislators stuck a provision in the budget that prevents KU from reducing enrollment or programs to institute the cuts. During debate, several legislators questioned how this was even possible. Another new law allows public schools and universities to arm employees with concealed guns and expands concealed carry in public buildings. And Brownback signed into law a bill sought by gun-rights supporters that prevents the use of state tax dollars to promote or opposed gun control policies. The Legislature adopted a measure to test welfare and unemployment recipients suspected of using illegal drugs. People who fail the test could lose their benefits. Supporters of the bill say it will help by providing drug treatment and job skills training to those who test for illegal drugs. Brownback signed into law a bill that contains more restrictions on abortion and a declaration that life begins at fertilization. The bill also requires physicians to give women information about breast cancer as a potential risk of abortion even though doctors convened by the National Cancer Institute said that abortion does not increase the risk for developing cancer.